In honor of Super Bowl Sunday, here are some Fun Facts about the Biggest Game of The Year. 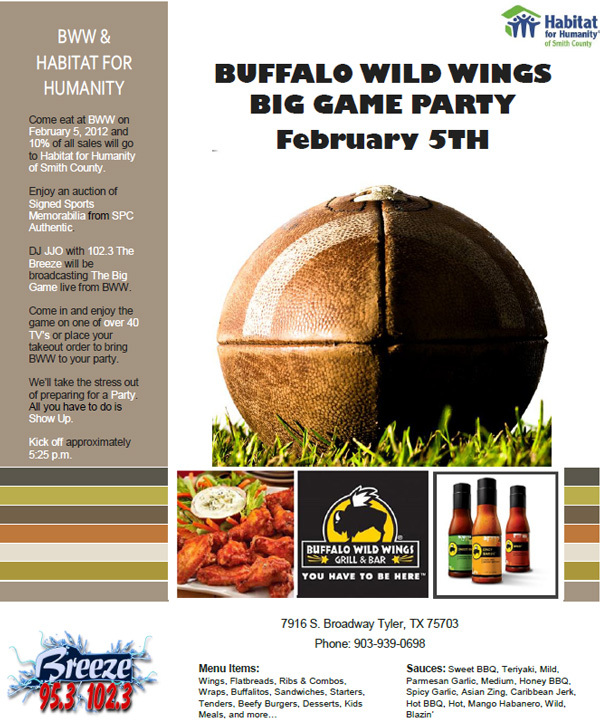 Speaking of Big Games, be sure to check out our Big Game Party on Super Bowl Sunday at Buffalo Wild Wings! Click the link to see facts! This entry was posted in Uncategorized and tagged Big Game Party, Buffalo Wild Wings, foxsports, fun facts, game of the year, Habitat for Humanity of Smith County, Super Bowl on February 3, 2012 by Smith County Habitat.